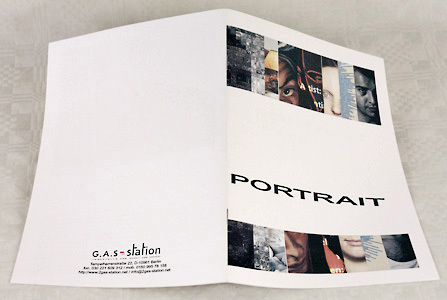 The publications of G.A.S-station are part of our concept. G.A.S-team (Elisa Asenbaum und Thomas Maximilian Stuck) designs to each topic a special appropriate graphic idea for publication. The unusual catalogues are partly hand made reflecting the subject of the exhibition. Catalogues of the large interdisciplinary projects include contributions out of art, science and literature and are sorted theme specific not in categories. They lead from one aspect to another and run like a common thread through the topic. Excerpts from science and literature are presented; texts to the artworks are short, concrete and practicable. Content and work are always in the foreground. Artist and participants had the possibility to bring in text material as well. The catalogues can also be seen as a guide through the exhibition. The 8th international, interdisciplinary and topic centered exhibition of G.A.S-station with 25 positiones out of science, art and Literature. 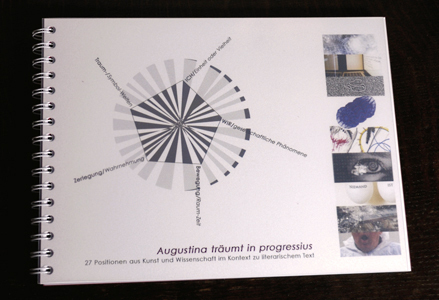 Augustina träumt - in progressius. The 7th international, interdisciplinary and topic centered exhibition of G.A.S-station with 27 positiones out of science and art. The Perfectness and th Defect. The sixth international, interdisciplinary and topic centered exhibition of G.A.S-station. 40 positiones out of science, art and literature. NOTHING. Nothing is more beautiful! Reflections atop and beneath Nothing. Textile printing, ab. 63 x 63 cm with colored img., detailed textes to works and participants in ger. or engl. on inside paper. The 5th international and topic centered exhibition project of G.A.S-station with two positions. Draga Jovanovic chooses with her artistic work "Your self is a reflection of myself" an emotional approach to the topic. The installation confronts the visitor with a touching borderline between cliché and profundity between kitsch, fruitfulness and "frightfulness". Whereas Stephan US is approaching himself methodically to the topic by his "Archive of Nothing", a collection of things, thoughts, utopia, concepts about the Nothing. A collection of examples and quotes of various types – books, movies, music, art and performative actions, etc. - place the manifold questions and views of the cultures to the Nothing and the related areas like zero, emptiness, silence, idleness, this social ambivalent value of Nothing, into space. No TIME. Time phenomena. Phenomena of time. Board and glossy paper cover, ring binder bonding, ab. 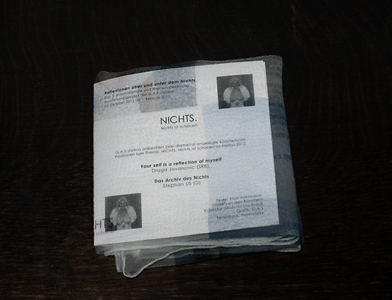 100 p. with many most colored img., detailed textes to works and participants in ger. 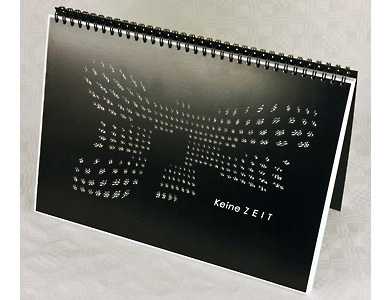 & partly engl., the catalogue contains an calendar from 2011 until 2015. Image and text to the work are laying at first sight on top of each other. 4th international, interdisciplinary and topic centered exhibition - project of G.A.S-station. 51 positiones out of science, art and literature to the issue No TIME. What is time? Reflections on time as physical base factor; time and relativity; the perception and the sense of time; time as measure; time in the change of time; time as graduation and division; time as rhythm. No time / absence of time. Absence of time in the philosophical, physical or subjective sense. Time and value: the handling of time, socially critical or analytical works. and symbolisation of the subjective experience and perception of time. Cartonwood cover, ring binder bonding, ab. 124 p. with many most colored img., detailed textes to works and participants in ger. & partly engl., 1 brass bowl. Image and text to the work are laying at first sight side by side. 3rd international, interdisciplinary and topic centered exhibition - project of G.A.S-station. 65 positiones out of science, art and literature to the issue THING. What is a thing? Reflexions on the use of the terminology, ways of thinking, and conceptions of materiality and dinglichkeit. 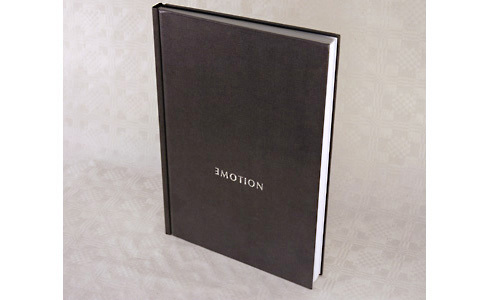 Works in the field of tension and in the connection between object and individual, objectively and individually regarded. Works witch deal with matters such as our material dependance and imprinting. The exhibition with over 65 positions had a very wide variety of contributions. CHAOS. Das Chaos is always and everywhere. Glossy paper cover, board core, two way ring bolt bonding, ab. 100 p. in two parts, back side papers printed with ill., with many most colored img., detailed textes to works and participants in ger. & partly engl. According to linguists, the Indo-germanic word „ghia“ was an onomatopoetic reproduction of yawning. The greek meaning of the word „chaos“ deriving from „ghia“ can then be understood as a paraphrase for „the great yawning of the world“. Nowadays, the semantic field of the term ranges from deterministic calculations of chaos to the description of complex, confused or opaque conditions and behavior. Congenial to the topic the catalogue by itself is an artwork piece. Like the idea to the Lorenz-Attractor the catalogue rotates over two points (a two way ring bolt bonding). 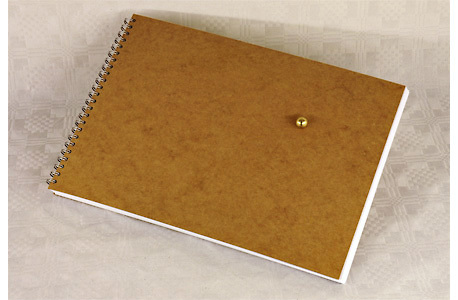 The backside is desined as a notebook to give place to one´s own ideas. Every page shows a small grafic from Käthe Schönle. 2nd international, interdisciplinary and topic centered exhibition - project of G.A.S-station. More than 40 positiones out of science, art and literature to the issue CHAOS/ORDER or the coincidence at the threshold from micro- to macro cosmos. 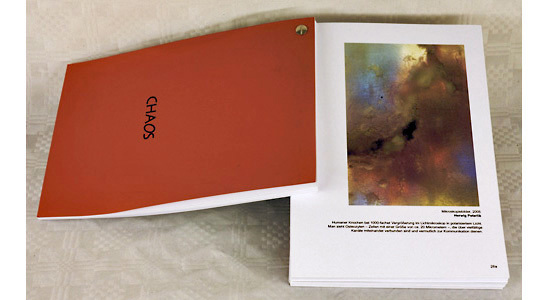 The exhibition includes works emphasizing the effects of chaos: Possibilities of description and visualization of complex dynamics (mathematic, aesthetic, literary, social-political, a.s.o.) and woks broaching the issue of the potential of chaos; chaos as potential of development, life and desire. 1st international, interdisciplinary and topic centered exhibition - project of G.A.S-station. 54 positiones out of science, art and literature to the issue. The exhibition showed the juxtaposition of various medial and formal approaches out of the field of associations motion & emotion. Artistic works of all sorts - filmlets, installations, plastic & fine arts, literature, as well as scientific contributions, presentations, lectures or accompanying texts concerning the subject were shown. 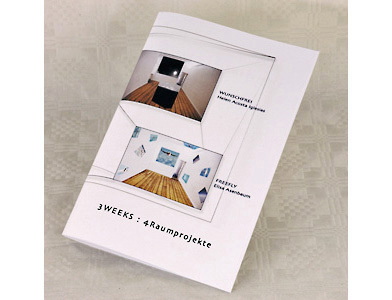 3WEEKS : 4Raumprojekte. Four artist for three weeks each. 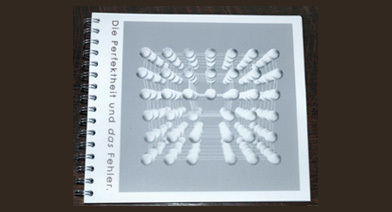 Booklet bonding, 24 P. + cover, with many most colored img., detailed textes to works and artists in ger. & partly engl. In this new exhibition-line the intentation of G.A.S-station is not to present a solo show of an artist but an intire room concept or installation to an explicit theme. EXCURSION: is developed on the computer, printed out on long paper rolls. The b/w paper rolls assembled around the walls and accented pictorially with strong acrylic colours. WUNSCHFREI an installation that ranges from the beginning, the awakening of things and life, until the end the death and expresses the human desire to disconnect from the circuit of becoming and going. SENSELESS again appears dipolar, the longing to eternity and to be caught in repetition makes the conception fascinating. FREEFLY. reflects the meaning of freedom and questions it's existence and it's definition in human existence. In the poetic installation FREEFLY, the desire to fly and the desire for freedom are interwoven into dreamlike pictures and sequences. 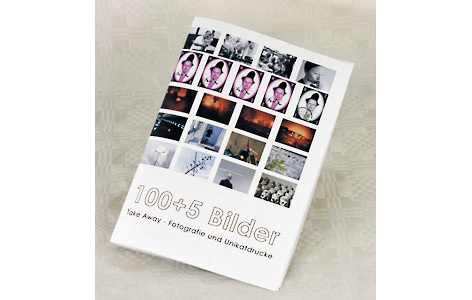 100+5 Bilder - Take away. Photography and unique prints. G.A.S-station presented in this exhibition 100 works in limited edition and unique prints and in addition 5 works in large scale to the topic photography from four artists and one artist couple. Portrait presented international artist's works broaching the overall-topic "portrait" in different ways. The project's focussed on a juxtaposition of different medial and formal approaches with contributions from all lines of arts. Different philosophical concepts and visualisations to and beyond the classical way of portraying were shown.